I don’t often go into the analytics section of this website. Certainly for me, that morning I woke at 4:44 effectively changed my life. It’s what kicked me into gear to make my film on intuition. And it forced me to acknowledge that there’s more going on than I had previously been aware. You have the same mob rooting for you, too. And they’re constantly trying to tap you on the shoulder and let you know they’re there. For me, it was that dream, and those numbers. How does the Universe connect with you? Prod you? Encourage you? It does so in a variety of ways, and one of those ways is the use of numbers. The startling use of numbers. I’ve been troubled lately. 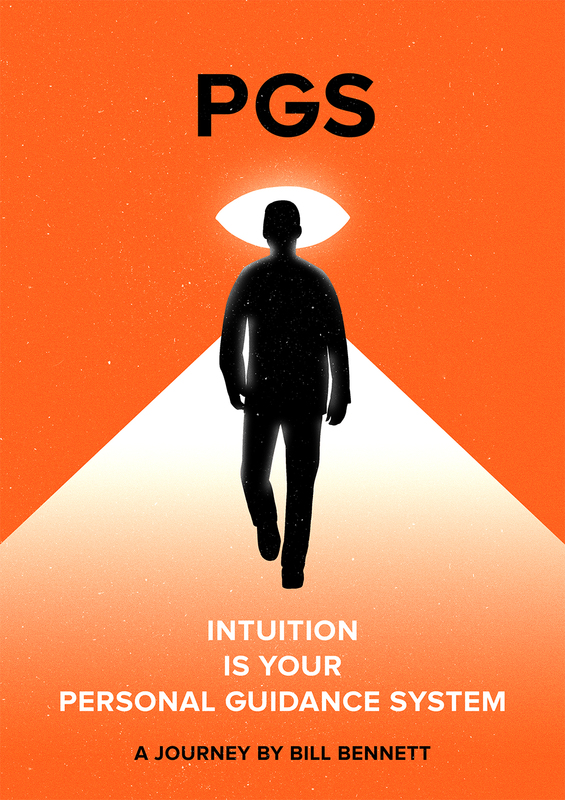 Soon I will be starting filming on PGS – INTUITION IS YOUR PERSONAL GUIDANCE SYSTEM. My plan is start filming in India, then go across to the US and film there. I feel very strongly that I need to get this film going. But I will be taking a financial risk starting when I believe I should start. And that’s been troubling me. I’ve been wondering if I should delay, and wait till all the finance locks in. Last night I dreamt vividly. In my dream I saw myself equivocating – questioning whether it was the right thing to do, to commence filming in September. And then my dream took me to an image of several computers, lined up one beside the other, all connected by cables. And I knew immediately what this was. This was an image of how the Spierig brothers made their first film – a very inventive film which they made at home, in their spare time and on their own dime. They didn’t have the money for a powerful computer to do all the film’s digital imaging work, and so they cobbled together a bunch of cheap home computers which, in series, gave them the computing grunt to do what they wanted to do. The resultant digital work was brilliant, the film got made and it launched their careers. I woke up immediately with the very clear message that I had to get on with it. That I had to do what I intend to do. That I shouldn’t equivocate. I shouldn’t have doubts. Everything will work out. 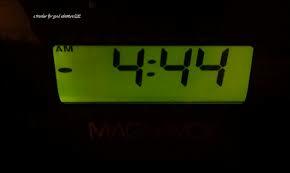 Then I looked across at the bedside clock, and it was 4:44. It hit me very powerfully. support to enable you to get the work done that you need to. They know and understand that you have been toiling diligently towards your goals, and encourage you to continue on your current path to achieve the success and results you desire. Use your strong connection with the angelic realm to your benefit and be open to their promptings and messages. Listen to your intuition and follow its guidance. 444 is a message that you have nothing to fear in regards to your life, work and Divine life purpose and soul mission. When you take positive action towards your highest intentions, aspirations and goals, the Universe works in your favour and helps you to establish solid foundations and advance you along your path. Know that the angels surround and support you, encouraging you to keep up the good work you have been doing. Do I believe that the 4:44 on the clock was a sign?